Imagine if the iconic Headless Horseman and his flaming pumpkin noggin had a bit of a love-hate relationship. They've been together so long that each knows just how to push the other's buttons. 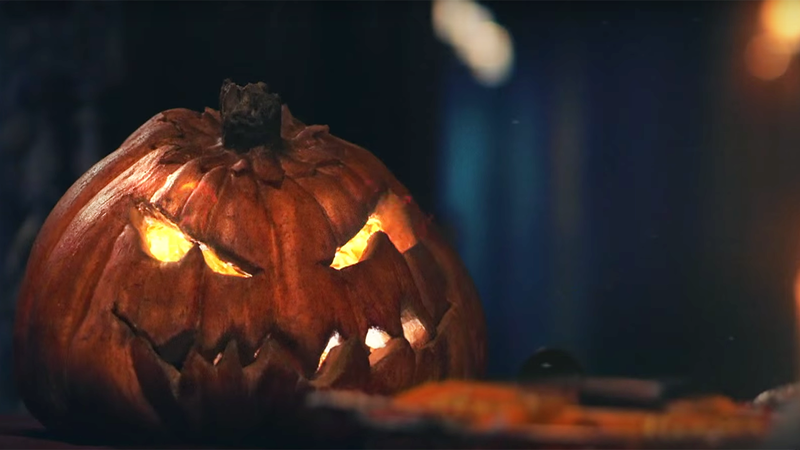 A new Halloween-themed ad for Reese's Peanut Butter Cups takes a peek at their creepy level of co-dependency. The Headless Horseman tries feeding Pumpkin Head a Reese's treat, and it ends badly, with a snuffed-out fire, and a meaner-than-usual Jack-o'-Lantern face. The Headless Horseman doesn't take direction well—and it turns out he may not really care if Pumpkin gets his chocolate fix or not. The cheeky ad launches Monday on Comedy Central. Viacom Velocity, the media parent company's in-house creative division, produced the video after pitching the idea to programming sponsor Reese's as "an Odd Couple meets Monty Python concept," says Beth Trentacoste, vp/creative director. "We wanted to dive into the backstory between these two, and we figured they'd be like an old married couple, constantly bickering and exasperated with each other." And yet, she says, they're the perfect combo, just like the Hershey candy. The sweet and salty video, shot at the historic Alder Manor in Yonkers using puppeteer and bolstered by CGI, is the team's latest work on behalf of brands like Jack's Links, Mountain Dew and Ice Breakers. It will air on the cable channel through the month.